Holley by the Sea is a well-established and extremely popular community nestled in the heart of Navarre Florida between the pristine waters of the Gulf of Mexico and the beautiful backwaters of East Bay. Holley by the Sea is an ideal option for families, couples or anyone who desires a home in a quiet and safe Florida setting. Since its inception in 1972, Holley by the Sea has grown into the largest housing development in NW Florida and is continuing to grow today. Expanding well beyond the initial subdivision first phase construction, Holley by the Sea has grown to include 5,693 to lots within an area of just over six square miles including the Hidden Creek phase and golf course. Homebuyers find the many different architectural styles, layouts, and home designs attractive that Holley by the Sea real estate has to offers. Privately owned vacant lots are still available providing the option of building a custom home to your specifcations. Situated north of US Highway 98 between Gulf Breeze and Fort Walton Beach, Holley by the Sea is conveniently located minutes from the Gulf of Mexico, shopping and restaurants while providing easy access to Hurlburt Field. Holley by the Sea offers a variety of family homes ranging from three to six bedrooms floor plans spanning in size from 1,100 to 4,000 square feet of living space. The majority of these homes have half-acre lots. 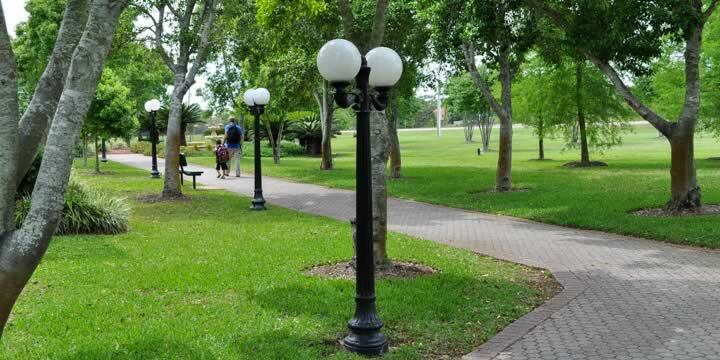 Homes in Holley by the Sea range in price from $150,000 to $600,000 with an average home costing $285,000. 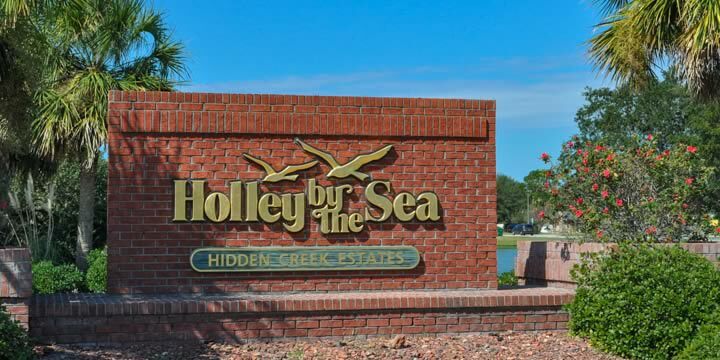 Hidden Creek Golf Course is on the north side of the Holley by the Sea subdivision. The homes in Hidden Creek Estates are in very high demand. Many of these homes are on or near picturesque fairways of this amazing golf course which was designed by Ron Garr. He is well-known for his challenging layouts, lush features, and well-manicured fairways and greens. Creekside Southern Grill is located in the Clubhouse and is a popular destination with locals for lunch, dinner and Sunday Brunch. Standard memberships are available, and discounts apply to military and senior golfers. 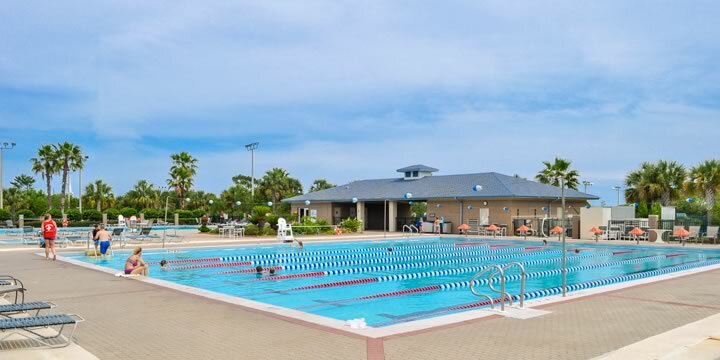 As a Holley by the Sea homeowner and member, you have access to the Recreation Center which contains a workout facility, event rooms, and offers programs for youth as well as childcare for members. Other amenities include eight clay tennis courts, beach house meeting center, sound-side private beach, fishing pier, RV camp sites, four picnic shelters, two swimming pools, two basketball courts and the community's private boat launch. The launch is located on the north side of US Hwy 399, providing direct access to East Bay. Call 850-437-5618 to have a Realtor with expertise in Holly by the Sea arrange a tour for any of the homes below. Holley By The Sea, 2nd Corr. & Ammen. Bldg.